The IAF strongly believes in improving labour and environmental conditions. Global cooperation is needed to create global industry systems that have a maximum positive effect on global responsible apparel business. IAF firmly believes that global responsible business is one of the main strategic issues facing the global apparel industry today. Images of industrial accidents and coloured rivers and headlines about exploitation of labour in factories tarnish the reputation of the industry. But on the other hand, the apparel industry undeniably plays a big role in the industrial development of many countries creating millions of jobs worldwide. Often big productivity gains and big improvements in working conditions can be combined to create a better future for everyone involved in the apparel industry. The apparel industry needs sustainable, resilient and efficient supply chains. Getting there and ensuring responsible business conduct needs a global system that has collaboration between buyers and suppliers as a cornerstone. It must move beyond an audit based system, but the audits still needed must not overlap. Defend the interests of apparel SMEs in these global harmonization processes. Helping members set up knowledge transfers The IAF actively acquires subsidised projects with its members containing knowledge transfer about responsible business conduct. It has completed a project with its member BKMEA (Bangladesh Knitwear Manufacturers and Exporters Association) and with its member Actif Africa in Ethiopia . The Ruggie ‘Protect, Respect and Remedy’ Framework and part of the OECD Guidelines for Multinational Enterprises help industry and governments define their roles in making real and realistic improvements in working conditions. The OECD is supporting industry’s in ‘translating’ the guidelines to practical industry actions, particularly through the due diligence guidance it has developed. IAF is part of the Advisory Group for this important project. 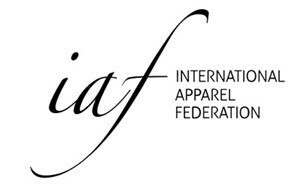 The IAF supports global cooperation schemes of large brands and retailers that are already in existence. For example the Sustainable Apparel Coalition, or SAC. The IAF participates in an SAC pilot project for implementation of the Higg Index by SMEs with the support of IAF members MODINT, DMogT and GTMI. And IAF has pledged its support to the SAC’s social standards convergence project.